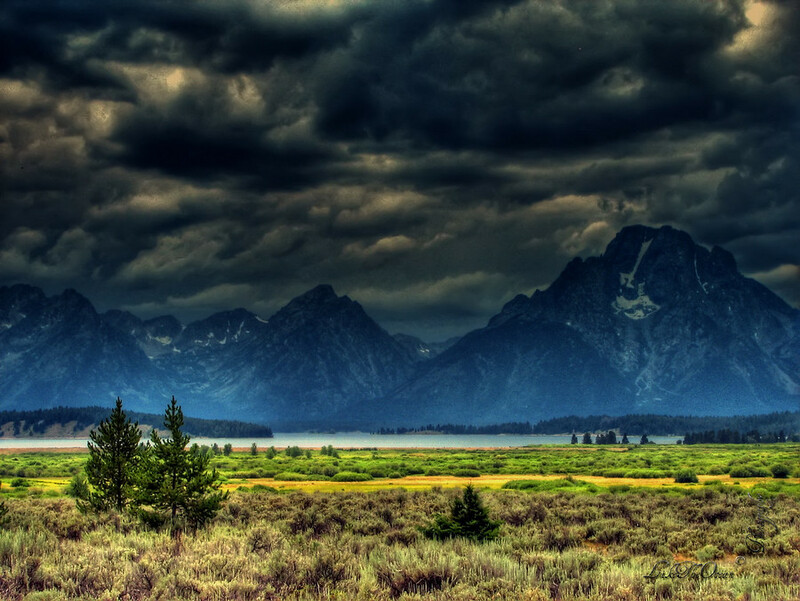 The Grand Teton National Park – as the name suggest is awesomely grand ! The jagged, craggy peaks of the Tetons are quiet magnificent by themselves. Really enjoyed this place as we drove thru for our Yellowstone visit. Made a note to myself that one day would need to get back to Teton for, may be a week just to get soaked in her beauty. As much as I would like to have been there for the early morning golden light, that afternoon did not disappoint either. The quick storm, that was fast approaching, created the dynamic lighting for the below shot. Really loved the way the sun lit up the foreground , while the storm was brewing back at the mountains. Hope u like the same as much as I do ! Truly amazing ! Too good na :) ! Wow, really like the colors and light on the foreground. @RJ Hey RJ , how r u doing ! tx for visiting. btb u have some awesome eagle shots ! Great use of HDR on this one. Congrats. Thanks Justin, yeah it the HDR did add a lot of depth to the shot, which was otherwise not even feasible given the lighting !